Coming back to today's recipe-Masala dosa ,a very familiar item among all Indians and a popular item in Indian restaurants.When I was at college,many of my north Indian batch mates always enquired the recipe of the masala dosas as they also loved every bite of it.All my family members equally love this too and I don't think anyone who have ever tasted this dislikes this filling dosa.So no more collective stories and tales,enjoy the crispy dosas !! - Chop all veggies ,boil and mash the potatoes.Keep aside. -Heat oil in a kadai and saute onions till light brown. -Add in the curry leaves,green chillies, sliced garlic .Saute again for 5 minutes. -Add in the turmeric powder,mashed potatoes and toss. -Add in the salt if required after diluting it in 2tsp of water. - Grind the rice and urad dal separately.Grind the cooked rice,fenugreek seeds and make a fine paste. -Add in salt and leave for fermentation for 6 hours.If the weather is cold outside,leave it near the stove or in the oven. -After fermentation,take out the batter make it thin if required. -Heat a nonstick frying pan / tawa and pour a ladle of batter in the center and spread outwards with the same ladle till you can reach the end. -Wait till it starts to have bubbles and the sides are crispy,flip it the other side and leave for a minute. -Flip back again,take a spoonful of masala and place it in the centre.Fold it from both sides towards the center. -Repeat the same for other dosas. 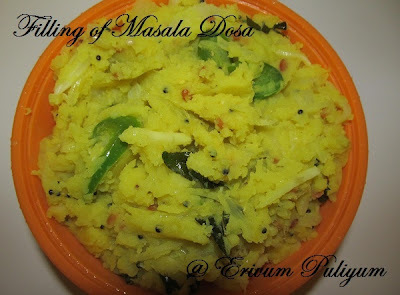 -Serve it hot with coconut chutney / Tomato chutney /sambar!! 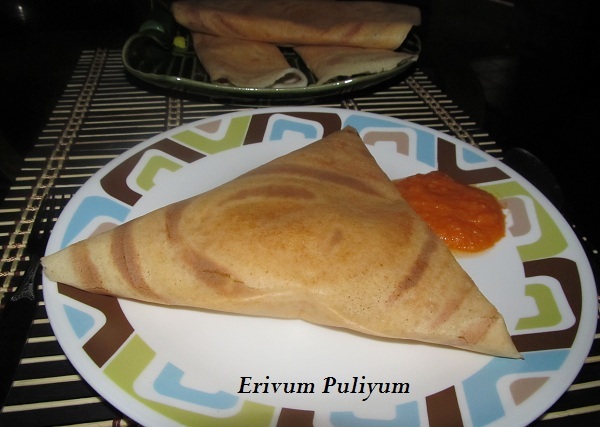 *The masala dosa batter should be thin and should be spread thin as possible unlike regular dosas. *If you find difficulty in fliping the dosas if the sides are not giving up ,then you can drizzle a drop of oil to the sides. * You can add a tsp of ghee to make it more crispier on the top. * Tempering the chutney gives a nice flavor and aroma. 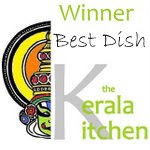 Am also happy to share that I received the 'Best Dish Award ' in 'The Kerala Kitchen' monthly event,last month hosted by Kaveri @ Palakkad Chamayal.Thanx a lot, Kaveri for the wonderful award,it really means a lot to me.The Best Dish award was awarded to my Christmas Fruit Cake/ Kerala Plum Cake recipe. Dosa looks crisp n perfect! Would love a taste of your breakfast. What a breakfast! I'm sure your whole day is going to be fabulous if you start with this food! This doosa is very nicely shaped! 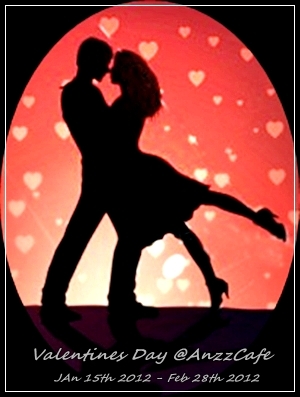 And I think you have to be very quick and skillful to do that so well. 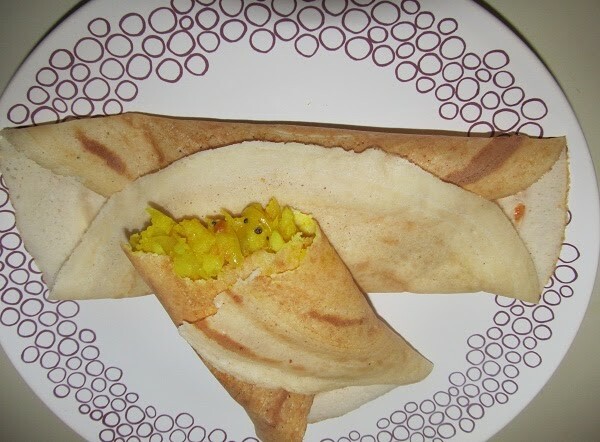 Wow, delicious dosa..makes me hungry! nice n crispy masala dosa with yum chutney! All time favorite. Looks crispy and yummy. Looks so good! Thanks for sharing this wonderful recipe dear..
this is my favourite ! i love having this any time of the day! and urs looks so good! wow ur dosa luks like restaurant style...perfect and flawless!!!! Love masala dosa, nice presentation too.. I love this with the white coconut accompaniment. Congrats for the lovely award.masal dosa looks delicious. my fav!!! i was craving so much for these for oast few days i made them today morning and ate :)... now seeing urs i want again ;).. awesome!!! Congratulations. Tempting pictures of crispy Dosa. Delicious looking comfort food. Looks yumm. I love Masala Dosa. Congrats on the award. Looks nice with perfect triangles. This is my all time fav !! looks so crispy and yummy !! 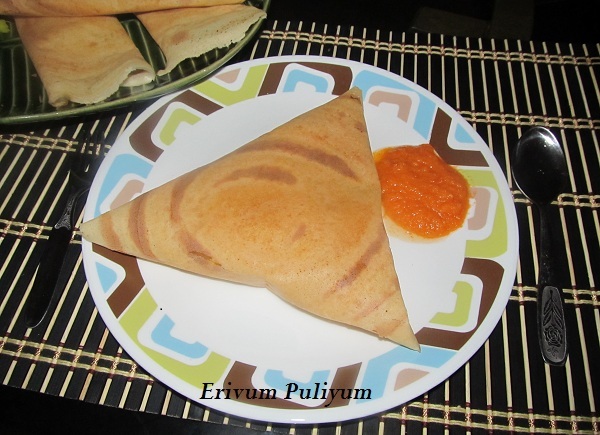 Masala dosa is our fav too, never a no from my kids as well. 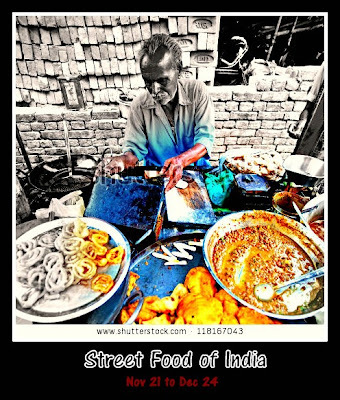 Fantastic Masala Dosa.Crisp-dun and yummy clicks.Luvly! wow..what a crispy dosa! Perfectly done & its my favourite too :) Congrats on your award & glad to see you on FB Julie! Masala dosa super...crisp and yummy..
Congrats julie :) love masala dosas! looks perfect, like the ones we get in restaurant!